With the early rain and cold this year I don't have anything to report from the farm. Usually this rain doesn't arrive till this time in July so I just hope it is not going to be another particularly swampy year. Most of the posts I will be writing for the next few months will just be the short types of articles that I have been writing lately. I hope you don't mind. Before plastics there were a number of plants that were used (and are still being used) for making string, rope and thread for fabric.Not everyone can have sheep or silkworms, but maybe you have the room to grow some plants instead of animals. Cotton - I grew cotton for the first time this year and was surprised at how well it grew here, just getting the same conditions as my vegetables. 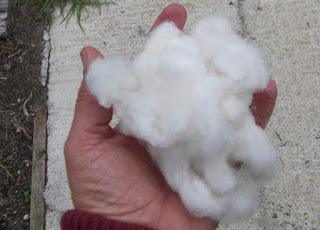 I now have handfuls of soft, raw cotton that can be used either to spin into thread for fabric, or to stuff toys with. After carding the seeds out you are left with the cotton to spin. NZ flax (phormium tenax)- This is a clumping plant that is native to New Zealand, of course. The tough, blade-like leaves can easily be stripped for their tough fibre. The plant is very easy to grow and the fibre is versatile enough to make into ropes or cloth. You can scrape the leaves between your fingers and a sharp knife with some practice to separate the fibres. Flax/ linseed - This is a plant grown for the seeds, oil from the seeds, and fibre. You can only grow a plant for one thing or another as growing for fibre means you have to harvest before the seeds are ripe. Linseed plants grow fast and the fibre is used to make linen which is a durable fabric similar to but stronger than cotton fabric. Nettles - Nettles are retted (see flax above) to produce a soft thread for fabric. Indian Hemp - This plant does not contain the chemicals to make you high that its relative marijuana does. It produces a strong and durable fibre suitable for most purposes. 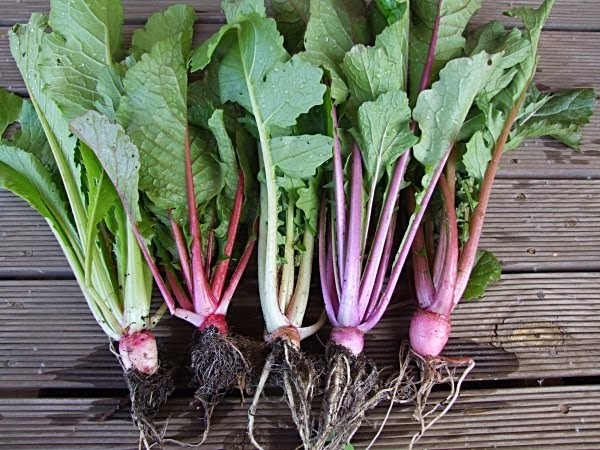 This is a short list of some of the traditional plants to grow for fibre but it may suit you to experiment with other long leaved, or fibrous stemmed plants in your garden to see if there are any others that also work. It is fun to experiment with plant fibres to make your own garden string or small bags and baskets.